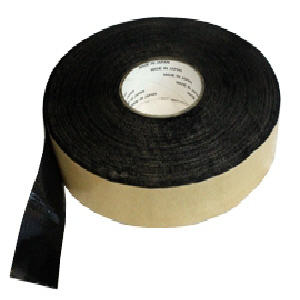 A 35 Mil double-sided reinforced aggressive black butyl rubber tape used to join panels of polyethylene and polypropylene together by overlapping the edges and applying Fabrication Tape in between. It is also used to adhere to concrete walls and footings when properly prepared. Non-hardening and flexible. Click here for Product Data Sheet.